Less than a month after Paddy Power Betfair was hit with a massive fine in the United Kingdom, its namesake Betfair Australia betting exchange has also been found in breach of its obligations (although there is no ownership connection between the two organizations). On Nov. 2, 2018, the Northern Territory Racing Commission in the Land Down Under ordered Betfair Australia to pay AU$ 163,195 (US$ 117,990), consisting of an AU$ 150,020 refund to a problem gambler and a fine of AU$ 13,175. 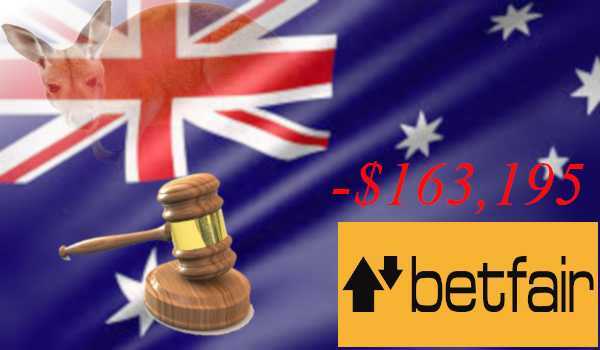 According to the “Reasons for Decision” document posted on the website of the Northern Territory's Department of the Attorney-General and Justice, Betfair acceded to a request by a customer to cancel his withdrawal of AU$ 150,000 and put the money back into his account. The user then proceeded to lose all this cash. The way it went down was like this: After submitting his withdrawal request for AU$ 150,007 on Feb. 20, but prior to the withdrawal being processed, the customer had AU$ 86,388 left in his account, which he proceeded to lose, along with a deposit of AU$ 2,950, within 23 minutes. After several hours, this user put another AU$ 35,000 into his balance, and he lost the majority of it within an hour. He then contacted support and asked that the funds that he had earlier requested be sent to his bank account instead be diverted back to his betting balance. After initially refusing, Betfair caved in to subsequent requests from the customer and placed AU$ 145,007 back into his account. Betfair generally does not reverse withdrawals upon user request, but this time, a manager specially authorized the transaction. The bettor proceeded to lose this sum that same day and another AU$ 5,013 the next day. It was only on the day after this, Feb. 23, that Betfair suspended the customer's account. After the customer admitted that he had a gambling problem, the Betfair manager, Mr. Reid, made the account suspension permanent. Betfair claimed that the customer, referred to solely as “Mr. M,” hadn't displayed a pattern of behavior consistent with gambling addiction prior to the events of Feb. 21 - 23. The betting firm acknowledged the fact that this user had requested self-exclusion before, for six months in 2014 and one month in 2016, but explained that no reasons for the self-exclusion had been provided, and so there was no way to know that this individual had problem gaming tendencies. Regarding the bettor's request to reverse his withdrawal, Betfair stated that it generally does not honor such appeals. Nevertheless, considering the customer's extended loyalty to the company, it decided to grant the request this one single time. Betfair further asserted that such a request is not indicative of problem gaming. Betfair's justifications fell on deaf ears. The Commission noted that Mr. M had, about a month before the incident, called the Betfair customer service department and asked that a cashout be reversed. The support agent refused, citing responsible gambling as a reason why this was not permitted. This tends to torpedo Betfair's claims that withdrawal reversal requests have nothing to do with gaming addiction. The Commission also noted a dramatic increase in the amount of money the complainant had deposited to his Betfair account. The annual total stood at just AU$ 22,000 in 2016 and AU$ 47,000 in 2017. However, during the first two months of 2018, Mr. M funded his account to the tune of AU$ 380,000. Betfair's claims that it hadn't noticed this trend become unbelievable when we consider that, during a Jan. 22 telephone conversation with the customer, Mr. Reid remarked upon an increase in gambling activity in December 2017 and January 2018. Despite this stepped-up betting action, Betfair refused to put Mr. X on its VIP program because of his past periods of self-exclusion. This makes no sense if the level of betting taking place was not a red flag indicating possible responsible gambling issues. The Betting Exchange Operator must comply with Mandatory Code of Practice for the Provision of Deferred Settlement Facilities for Northern Territory Licensed Sports Bookmakers 2015 and the Northern Territory Code of Practice for Responsible Online Gambling 2016, issued by the Commission pursuant to the Racing and Betting Act, and as amended from time to time. On the basis of the information provided and for the reasons set out above, the Commission finds Betfair did breach its obligations under section 109V(1)(d) of the Racing and Betting Act by failing to comply with licence condition 16 of its Betting Exchange Operator’s Licence. Betfair was ordered to reimburse Mr. X for the sum of AU$ 150,020. In addition, the betting exchange had to forfeit a fine of AU$ 13,175. Betfair's Australian division was created in 2004 as a joint venture between the main Betfair operation and Crown Resorts. In 2014, however, Betfair sold its stake in the enterprise to its partner, and since then, Crown has been calling all the shots. 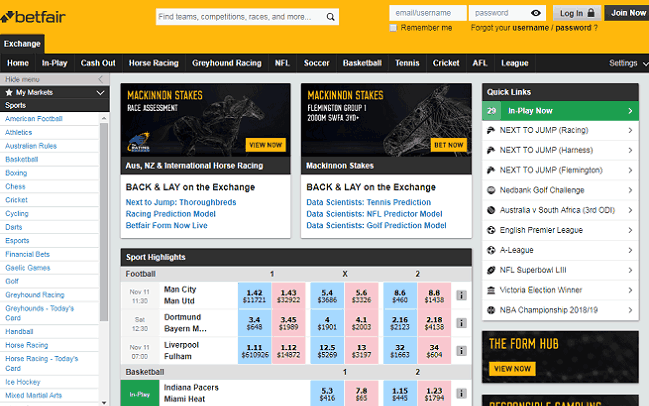 Rather than booking bets directly with customers, as with a traditional sportsbook, Betfair Australia uses an exchange model. This means that users bet among themselves with Betfair matching different sides with each other and taking a commission on each bet. Because of its nature as an exchange rather than a sportsbook, the AU$ 150,020 that Betfair Australia had to return to Mr. M doesn't just represent cash that came from Mr. M in the first place. Most of it would have wound up in the hands of other customers with only a small portion going to the site. Therefore, Betfair Australia will have to dig into its own pockets to make good on the amount due. 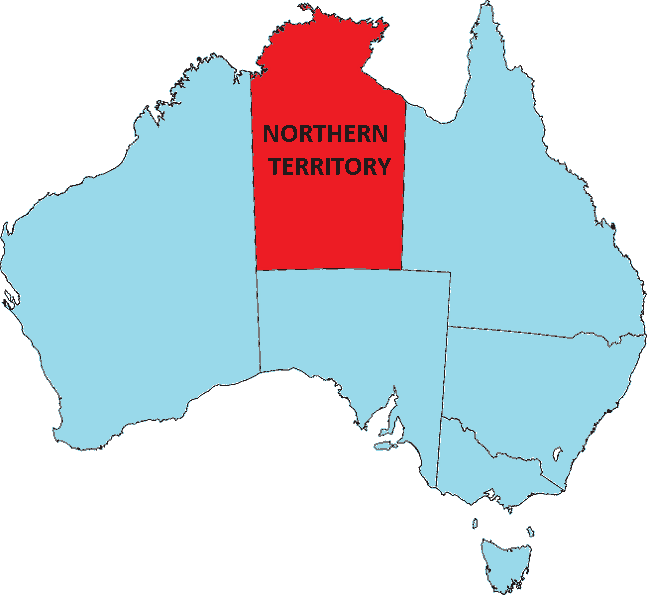 For a long time, the Northern Territory has been considered one of the most favorable areas in the developed world for online gaming licensure. Between the low costs of obtaining a license and the friendliness of the authorities, many international corporations have been convinced to set up shop here as opposed to other Australian states and territories. Indeed, there have been frequent allegations that the regulators in this jurisdiction are just rubber-stamp cronies of gambling interests who do little to safeguard the public. It is well established that the Courts have set a very high threshold of responsibility for the gambler as to their own actions. It is suggested that only in the most extreme cases of deliberate and gross conduct by the operator who has knowledge of the vulnerability of the problem gambler, that there would be any duty owed to prevent loss. Therefore, both operators and customers are aware that frivolous or mendacious complaints are likely to make little headway when brought before the Northern Territory Racing Commission. This is in contrast to the United Kingdom, for instance, where the Gambling Commission has levied exorbitant fines against the likes of 32Red and LeoVegas for responsible gambling failures. Although Australian officials would prefer that all gambling take place only on state-approved, licensed sites, there's a thriving market for underground online gaming services. Australian poker players especially head over to offshore poker sites, which are unlicensed, because there's a grand total of zero internet poker rooms that possess a valid Australian license. The Interactive Gambling Amendment of 2016 contained not a single provision for establishing an online poker licensing regime, so it's impossible for these companies to transact legally in the country. You aren't taking on any legal risk when you play at one of these sites. It's the site owners and management who face possible prosecution although this is extremely unlikely. To learn more about this topic, browse over to our guide to Australian offshore poker sites.